The world of the Sephardic Diaspora in North Africa, a world that was lost and then regained, stands out because of the uniqueness of its historical background, an identity forged from multiple influences, and a lingering flame that has illuminated Jewish communities the world over. 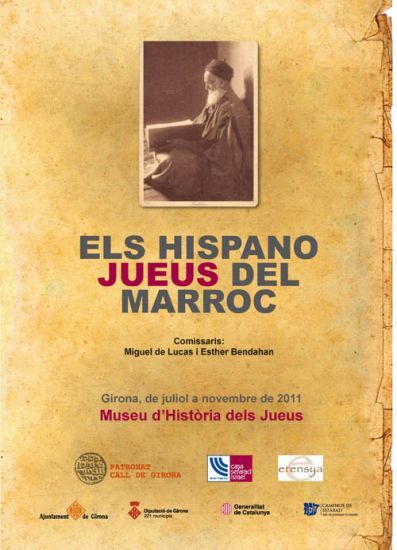 During centuries of isolation from peninsular Spain, the Sephardic communities of Morocco enriched their Hispanic roots and their Judaic devotion with powerful accretions from the local context. A fascinating culture emerged from this melting pot, finding its expression in liturgy, language, folklore, and cuisine. Through this exhibit, Casa Sefarad-Israel wishes to pay tribute to those who kept alive the memory of Spain and nourished affection for Sefarad over the centuries.